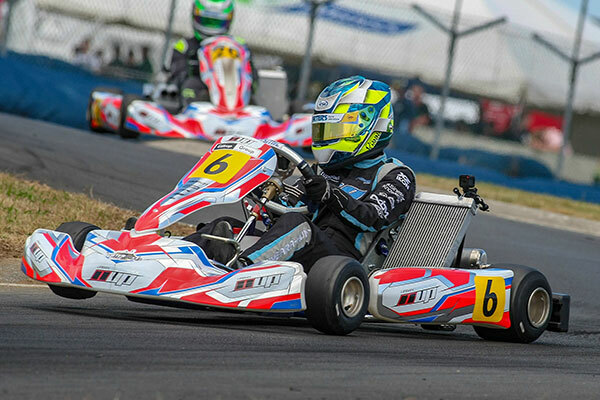 Between them, top female driver O’Meara-Hunt and her driver coach, former four-time New Zealand kart champion Arie Hutton from Palmerston North, dominated the Vortex ROK DVS Senior class, O’Meara-Hunt qualifying on pole and winning the first heat, while Hutton won the other two heats and the Pre-Final. 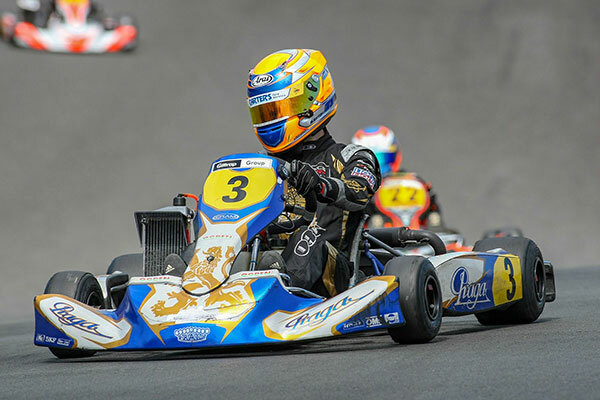 Top South Island Junior William Exton from Picton set the quickest qualifying time and won all three heats as well as the Pre-Final. 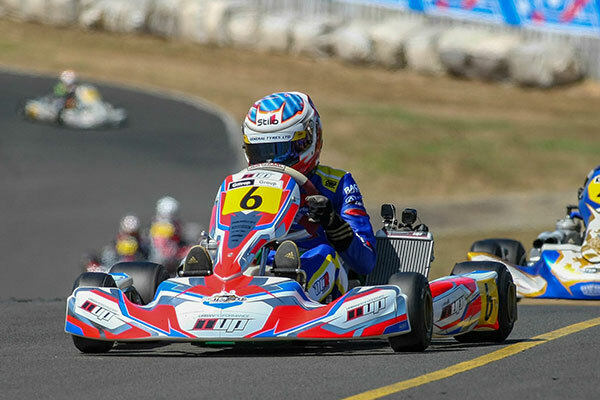 He also led the first six laps of the Final, before being passed by both Richmond and fellow Aucklander Liam Sceats. Exton got one of those places back on lap 20, displacing Richmond while Sceats remained in the lead. 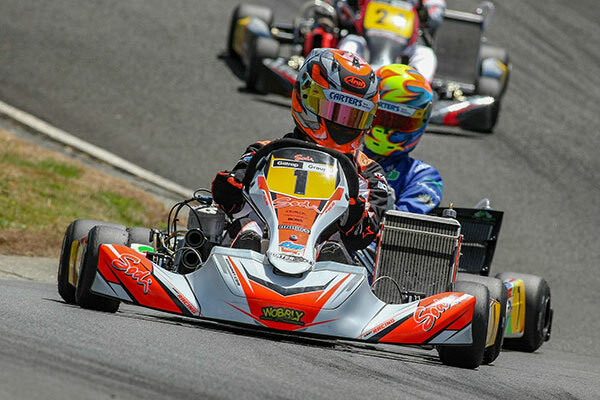 However Richmond took the lead as Exton and Sceats tangled on the last lap to take the race and CIK Trophy from Sceats, Nathan Crang from Auckland and Jacob Douglas from Christchurch. 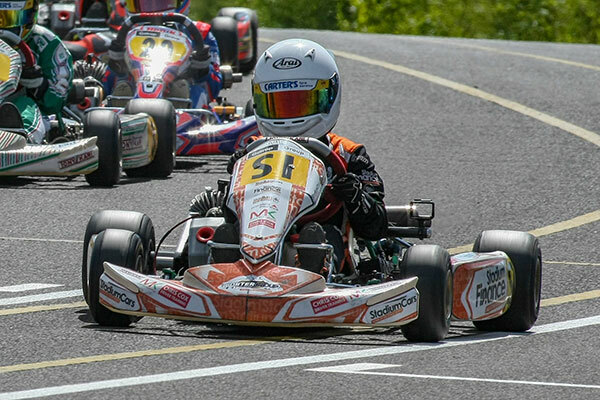 William Exton proved too good, meanwhile, in Rotax Max Junior, parlaying the top spot in the class qualifying session to wins in the third heat, the Pre-Final and the Final, albeit not until after a pitched battle for the lead with Liam Sceats, who crossed the finish line just 0.291 of a second behind. 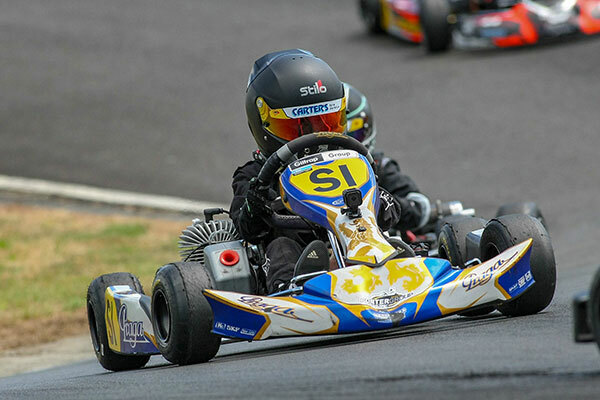 The current South Island title holders in the other two Challenge Cup classes, Louis Sharp (Vortex Mini ROK) from Christchurch, and Arthur Broughan (Cadet ROK) from Blenheim, also claimed the top spot on their respective podiums. Though, again, neither had it particularly easy. Vincent grabbed the earl lead in the Final from pole man Bewley however Sharp was back in the frame by the sixth lap then led until lap nine when Vincent found a way back to the front. Jay Urwin then entered the equation, helping push Sharp back to P3. Bewley then led for a lap before Sharp worked his way back past Irwin and Bewley and into a lead he maintained to the flag. Arthur Broughan was all class, meanwhile, in Cadet ROK. Jamie Thompson and Izaak Fletcher were quicker in qualifying with Thompson going on to win two of the heats as well as the Pe-Final. The top five drivers all crossed the finish line within a second of each other with the first significant gap after 18 laps round the 0.865km Hamilton track just over 10 seconds between fifth placed Zach Tucker ad sixth-placed Marco Manson. Mathew Kinsman 17:25.195; 2. Graeme Smyth +8.282; 3. Daniel Bray +12.416; 4. Daniel Bugler +23.831; 5. Regan Hall +27.714; 6. Tony Walker +35.668. Rianna O’Meara-Hunt 19:07.496; 2. Arie Hutton +1.528; 3. Chris Cox +5.986; 4. Braeden Snowden + 8.853; 5. James Higgins + 9.957; 6. Ashley Higgins 13 laps. Josh Richmond 18:50.761; 2. Liam Sceats +0.645; 3. Nathan Crang + 6.672; 4. Jacob Douglas +9.883; 5. William Exton 10.259; 6. Luke Thompson+ 10.375. David Malcolm 12:42.345; 2. Justin Herbert +3.203; 3. Darren Walker +4.693; 4. Karl Ellis +10.675; 5. Greig Gonano +18.365; 6. Heidi Benner 15 laps. William Exton 12:36.694; 2. Liam Sceats + 0.291; 3. Clay Osborne + 4.262; 4. Riley Spargo +4.640; 5. Nathan Crang + 6.743; 6. James Van den Berk +7.144. Louis Sharp 14:01.147; 2. Ashton Phipps +1.561; 3. Tom Bewley + 1.600; 4. Kiahn Burt +2.491; 5. Blake Knowles +4.876; 6. Emerson Vincent +6.524. Arthur Broughan 14:24.481; 2. Jamie Thompson + 0.304; 3. Riley Boswell +0.464; 4. Izaak Fletcher + 0.645; 5. Zach Tucker +0.908; 6. Marco Manson +11.613.